Where Can I Find New Honda Cars, Trucks, SUVs & Vans for Sale Near Me? 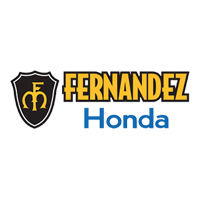 Fernandez Honda invites you to search our outstanding inventory of new Honda cars, trucks, SUVs and vans for sale near me in San Antonio, TX. Check out our latest Honda models, including Honda Civic. Our team of Honda specialists is ready and waiting to help you find one of the best deals on new cars, trucks, SUVs, and vans around. Don’t forget to ask about our great Honda financing options, lease deals, and exclusive dealer incentives. Also, our Honda Certified service center is well placed to take care of all of your vehicle’s service & repair needs. Search our stock online, drop in for a test drive, or call (210) 928-1500 today. If you are seeking a pre-owned vehicle at the moment, visit our used vehicles page to view our pre-owned selection.